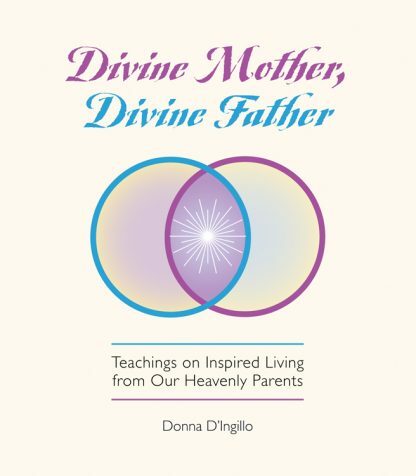 This short book offers one-hundred concise spiritual lessons received from our "Heavenly Parents," who are known traditionally as Jesus Christ (our �Divine Father�) and the Holy Spirit (our �Divine Mother�). This series of inspirational one-page messages was transmitted by Donna D�Ingillo, a nationally renowned healer and spiritual teacher. These teachings are based on the wisdom of the legendary Urantia Book, which has sold more than one million copies worldwide in 14 languages. The highly personal quality of these profound lessons will uplift and charm you, arousing in you a new and heartfelt commitment to live a life of love, service, and creativity. It�s time to meet your Heavenly Parents, whose love is utterly beyond comprehension. They are always available at a moment�s notice. They�ve provided this guidebook to bring you a new awareness of their wisdom, compassion, and divinity. You will discover fifty succint messages from Jesus Christ as well as fifty short teachings from Divine Mother�thus illustrating their ultimate equality and complementary divine natures.